The tools you need to turn leads into leaders. Using leads from Responsive Data means you'll never have an empty sales pipeline. 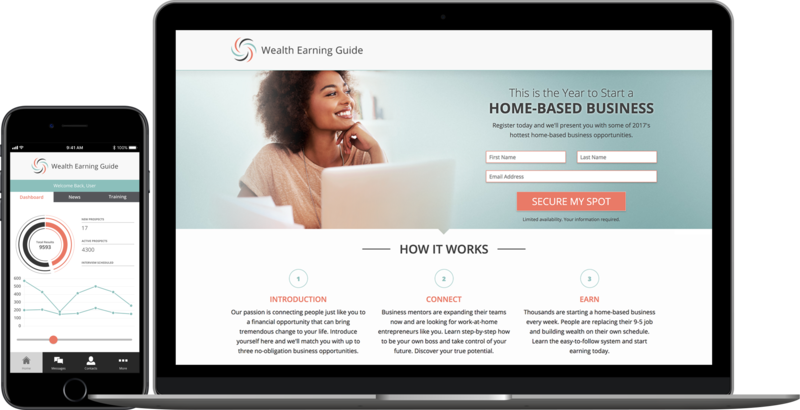 You can generate your own with our professionally designed landing pages or take advantage of our affiliate network and purchase leads directly. Your teams can grow beyond their warm market faster with a steady stream of demand based prospects combined with an automated marketing platform. Not only are our leads qualified and delivered in real time but you can automatically enroll them into a sales funnel and auto-responder email campaign. Managing dozens of prospects can be a messy and time-consuming process. When teams become larger, and prospects begin to multiply, the task of organizing them can be become impossible without the help of a CRM. Ours was built specifically for the network marketer in mind. 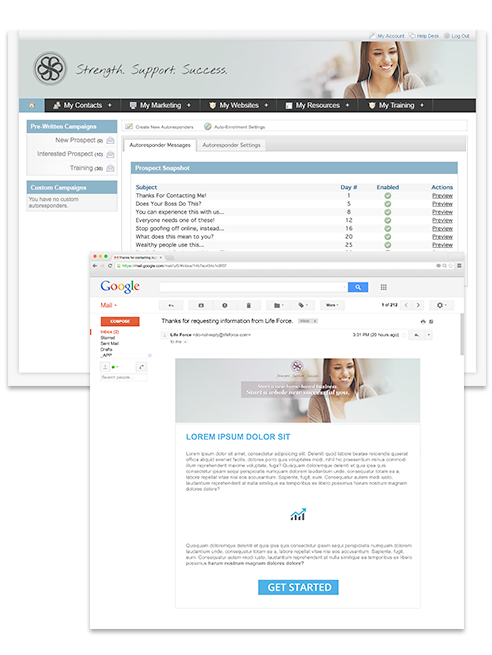 We place emails, scripts, resources and action items at your teams fingertips. Members can nurture leads, enroll prospects into corporate approved email campaigns, set actions for following up and move prospects through the sales funnel. The phrase "If you can't measure it, you can't manage it" has never been more accurate. Our CRM has the data you need to keep a pulse on your sales pipeline. Keep track of how far prospects have progressed through training. Find out where leads stop watching your video. Learn what email campaigns work best and which landing pages have the highest conversions. You'll have a smarter, more informed, more organized and more successful network - and the data to prove it. Knowledge is power. That's why training modules are featured prominently on the home page dashboard. Keep your members informed and spread the techniques that have been most successful. New members can instantly benefit from an established sales funnel, media resources, sales strategies and the collective knowledge of the top leaders. Plus, you can use the News and Promotions section like a virtual bullhorn for announcements, new products and award recognition. We are THE all-in-one software solution to make network marketing easier and more efficient. Not only does Responsive Data help members generate leads today, but we help you turn them into leaders tomorrow. Take advantage of the strategic vendor consolidation with the one-stop solution available through Responsive Data. Besides providing the technology, we also provide the marketing creative and training to show you how to get traffic to your websites. Professionally designed banners and graphics are available, along with high quality printed and personalized marketing materials. Training modules & videos are also available in your back office, to get hands-on expert advice. Streamline the sales funnel with a comprehensive contact management system and a full-featured set of tools to simplify day-to-day sales and business building activities. Activity feed shows opens, clicks, Video Analytics, and More! With just a quick glance at the prospect detail screen, members can see all of their notes, along with all of their prospect activities. Did the prospect open the email and click the link? Did they watch the video? The whole video or just part of it? Did they click through to the order page? Imagine how much more effective a follow up will be with all of this additional information at their fingertips! Although you will find some customers and affiliates that jump right in and get involved after their first exposure to the opportunity and products, but statistically this is not the case. The majority of sales take place after the fifth contact or exposure. Are your members effectively following up with their prospects? Members can have access to corporate approved and professionally developed emails, auto-responder campaigns and follow up system. Today's network marketers are constantly on the move. Now they can take the powerful tools with them wherever they go. New data shows that responses to personalized text messages are far more powerful than emails and even phone calls. Our app gives members access to pre-built or custom text messages. 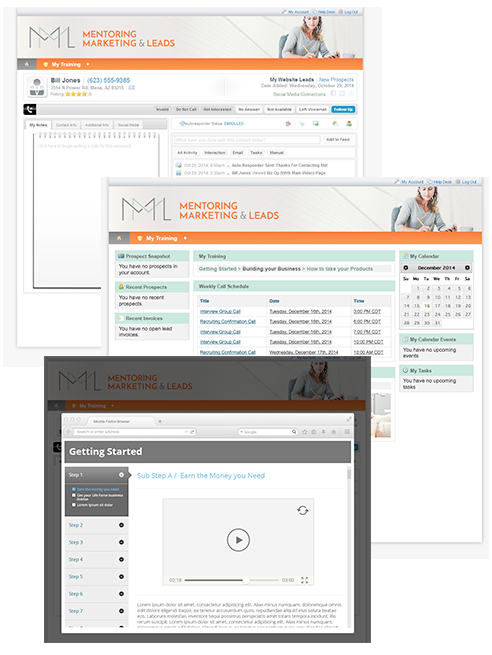 View your landing pages and marketing sites at-a-glance and send them to prospects with one touch. Leads, notes, activity feed... everything that teams love about the marketing system is also available in the palm of their hand. Stay ahead of the competition with the tools of tomorrow. Responsive Data creates software solutions for individuals and teams of any size. Plus, we've partnered with some of the top direct selling companies to provide integrated lead generation and prospect management solutions to their distributors. Our business tools help more than just big teams. We've created Ultimate ProspectorTM as a way to put the solutions in the hands of the independent distributor. In addition to being a contact management system, Ultimate Prospector offers a variety of tools to help build a direct selling business. 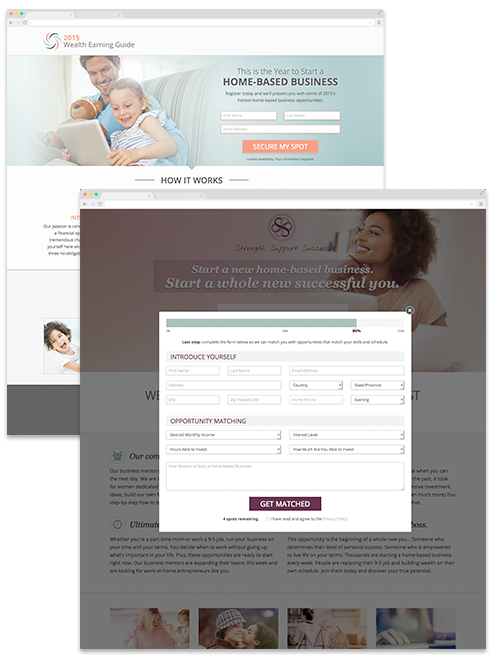 Associates receive access to landing pages, email templates and auto-responder campaigns all designed specifically for today's direct seller. Ultimate Prospector allows you to stay organized, generate prospects, streamline your follow-up marketing campaigns, and so much more... all at an affordable monthly subscription. Add value to your team with a custom branded solution from Responsive Data. In addition to redesigning the contact manager and business building tools to match your existing brand, you can also receive customized landing pages and email templates. Keep your team informed with news and bulletins. 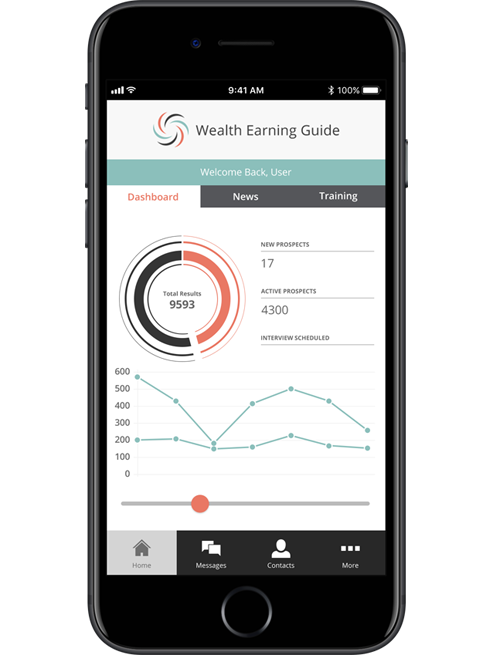 Plus, you can create training modules for your products or sales system and then track your associates progress. By providing these tools to your full organization, direct selling companies can see a sharp increase in follow-up success, product knowledge, and brand adherence. Independent distributors are looking for training and effective sales tools when deciding who to join. You'll be able to provide education and add value to your opportunity by helping associates build their business. Please fill out the form below to get in touch with Responsive Data. One of our highly trained representatives will get back to you shortly. Thank you for requesting more information.